The Norwegian rally and rally-cross star Petter Solberg is a part of Team Solberg, together with reigning World Champion Johan Kristoffersson. The team is sponsored by Scania. For Petter, ensuring his cars make it safely to the next rally event is of the utmost importance. Rallying is his livelihood and a great transport solution makes all the difference. This time, his Scania trucks are packed with his cars and other gear as he travels from Torsby in Sweden and returns to Hell, the place where he was raised. That’s Hell, Norway, a little village that lies 30 minutes from the city of Trondheim. Being a part of a racing family, Petter spent a lot of time in places like this. Hell was also the setting for this year’s World Championships in rally-cross. In fact, to Petter, Hell is more like heaven. 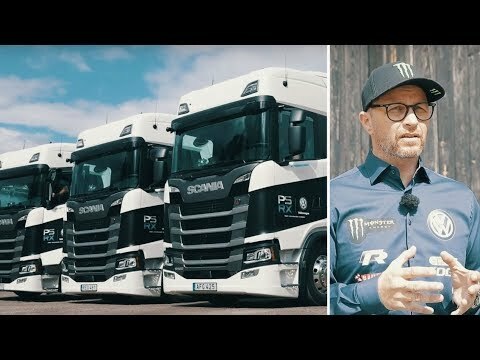 Video: Petter Solberg is a great rally driver, but can he drive a truck? Watch and find out!